The effects of biological invasions by non-native species have been widely studied in terms of environmental, economic, and human health impacts. 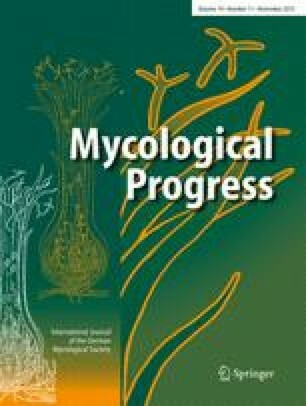 However, little is known about the consequences that non-native plant pathogens may determine on host plant symbionts, such as ectomycorrhizal (ECM) fungi. In this study, interactions between Suillus luteus, an ECM fungus of pine trees, and the allopatrically differentiated fungal pathogens of pines Heterobasidion irregulare and H. annosum were investigated in dual culture by morphological and gene expression analyses. Growth of S. luteus was inhibited by both Heterobasidion species, but based on statistical analysis, growth inhibition was due to the isolate rather than to the species. The expression analysis on genes related to cell wall hydrolytic enzymes and hydrophobins, putatively involved in the fungus–fungus interaction, allowed to identify significantly up- and down-regulated genes both in the symbiont and in the pathogens. Based on the transcript analysis, it was not possible to distinguish the impact of the two pathogenic species on the ECM fungus. The only exception was a S. luteus gene coding for a putative chitinase (SlGH18_8356) that was found to be differentially regulated during interaction with H. irregulare compared to H. annosum. F. Sillo and E. Zampieri contributed equally to this work. The online version of this article (doi: 10.1007/s11557-015-1130-3) contains supplementary material, which is available to authorized users. This work was supported by the Italian Ministry of Education, University and Research, within the FIRB program (grant number RBFRI280NN).